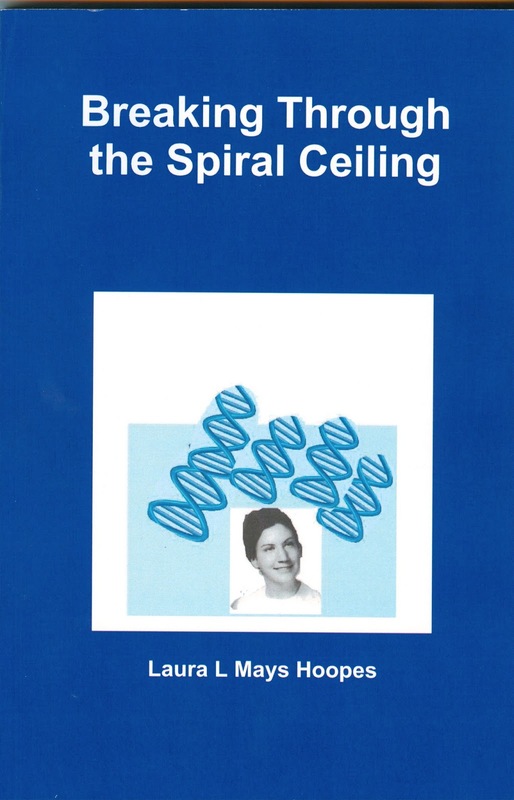 I hadnâ€™t heard of the spiral ceiling until I read Laura L. Mays Hoopes memoir, Breaking Through the Spiral Ceiling. And after I read it, I realized I had the same opportunity as she while I worked with scientists and engineers in the aerospace industry. Unfortunately, I turned down the chance to be a manager early in my career, took a ten-year break from aerospace to raise my little boys, and by the time I went back, other smart women had passed me by. So I applaud Laura. She is an inspiration to all young professional women. She has proved that it is possible to have it all â€“ a fulfilling career, a loving marriage, and the experience of being a mother. As Laura prepares the eBook version of her memoir, she talks about her career and her writing and family life in The Next Big Thing Q & A. Hereâ€™s Laura. My own Next Big Thing is a new eBook version my memoir, Breaking Through the Spiral Ceiling: An American Woman Becomes a DNA Scientist. It is in preparation for summer release. Why is it a Next Big Thing? Itâ€™s an inspiring read for any woman facing a challenging career, especially one in which women are greatly outnumbered by men. And Spiral Ceiling is currently the only available book on the life story of an American woman who made it in science while being married and raising children. Most biographies and memoirs focus just on the science, or mention family aspects only in passing. Where did the idea come from for Spiral Ceiling? I taught a frosh seminar at Pomona College on Biographies of Biologists, and the women in the class objected that we only read about women workaholic loners, not any who balanced family and career. When I told them I had done it, they urged me to write about my own life! What genre does Breaking Through the Spiral Ceiling Fall into? Itâ€™s a memoir, covering a good deal of the history of womenâ€™s entry into the field of science, especially molecular biology. I think Winona Ryder could play the young Laura Livingston and perhaps Meryl Streep the older one (I loved her Julia Childs rendition!) I think Sydney Poitier for Richard Mays and perhaps Harrison Ford for Mike Hoopes. I wouldnâ€™t dare pick for my son and daughter, but Tom Goodwin, who has a cameo, should be Tom Hanks. In Breaking Through the Spiral Ceiling, Hoopes traces her development as a woman biologist, how she fell in love with DNA but encountered discouraging signals from men in science, how she married and balanced both family and career, and why sheâ€™s glad not to be a Harvard professor. Self-published. It was almost published by Yale University Press, but they backed out after telling me I was â€œin the queueâ€ for three years. Linda Learâ€™s biography of Rachel Carson, Rita Levi-Montalciniâ€™s memoir In Praise of Imperfection, and Brenda Maddoxâ€™s life of Rosalind Franklin, Dark Lady of DNA. All women who want to know what theyâ€™ll face if they go into a field where career-family balance is a challenge, as well as those who made another choice and wonder what might have happened if theyâ€™d stayed in science. I want to show women, especially young women, that â€œhaving it allâ€ can be done, and that I found it valuable to construct a life of balance. So often, they are told they must choose family or science research. What else about your book might pique the readerâ€™s interest? Everyoneâ€™s life encounters the unexpected. In my case, I didnâ€™t expect to marry an African American man, but then when weâ€™d created a good life, I didnâ€™t expect him to die suddenly of a heart attack when still relatively young. I didnâ€™t expect my interactions with the governmentâ€™s science research establishment to go the way they did, nor did I realize how rewarding teaching would be. I didnâ€™t expect my sonâ€™s teachers to be racists. I didnâ€™t expect my daughterâ€™s baby sitters to fail me when she was sick. I didnâ€™t expect to be involved in establishing the biology section of Council on Undergraduate Research. So surprises in both directions made life a continual challenge, thrill, and reward. 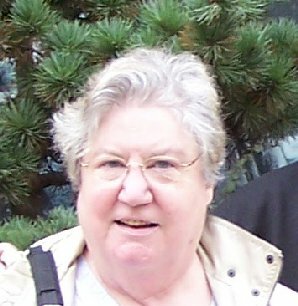 My web site, www.lauralmayshoopes.com, has a blog page on writing and the literary life, a page on my memoir, and a page where you can download some of my short publications, among other pages. All welcome! Laura L. Mays Hoopes wants to empower every woman and young girls looking to make a difference and have it all despite the odds. In her book she traces her career through Goucher College with summers in Woods Hole, graduate study at Yale, postdoctoral fellowships at Scripps Clinic and Research Foundation and University of Colorado Medical School, and a faculty position at Occidental College in Los Angeles. Later, she became academic Vice President at Pomona College in Claremont, CA, but after breast cancer, she became the Halstead-Bent Professor of Biology at Pomona. Awesome recommendation. The power to balance work/social life/home life is one that a lot of fail at because it is very difficult. You are admirable to be able to accomplish it : D. This post reminds me of Good Will Hunting where one guy chose a career and then Robin Williams chose the girl instead. Find what you want and go after it : D.
Thank you for saying this, Sebastian. It was so hard for women especially to go after their dreams and/or to be taken seriously back in the day when I was just starting out in the working world. I think it’s a little easier now, but women still don’t have equal status. Women must work harder and longer and stronger to accomplish their goals. I can’t imagine what it was like. It must have been very scary and difficult to deal with the prejudice. That is true that they don’t. The gender power paradigm is shifting though. Women will probably soon be more powerful than men. It’d be nice if we all could be equal, but an idealized world never happens.